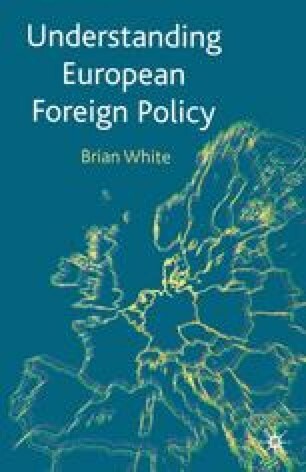 One of the striking features of commentaries on world politics in the last decade of the twentieth century was the growing number of references both in the media and in academic texts to Europe as a major player of global significance. Indeed, it was increasingly difficult to find any area of international activity, whether area denotes a geographical region or an important issue, in which Europe was not thought to feature prominently in interactions with other major players such as the United States. The clear implication is that an understanding of what Europe does in relation to the rest of the world is one key focus that might help us to understand the workings of contemporary world politics as we begin the twenty-first century.